Bailey Spaulding and Robyn Virball met in college in 2002 and founded Jackalope in 2009 after Bailey decided to pursue brewing rather than law upon graduation from Vanderbilt Law School. Both women grew up in New England – Bailey is from Vermont and Robyn from New Hampshire. 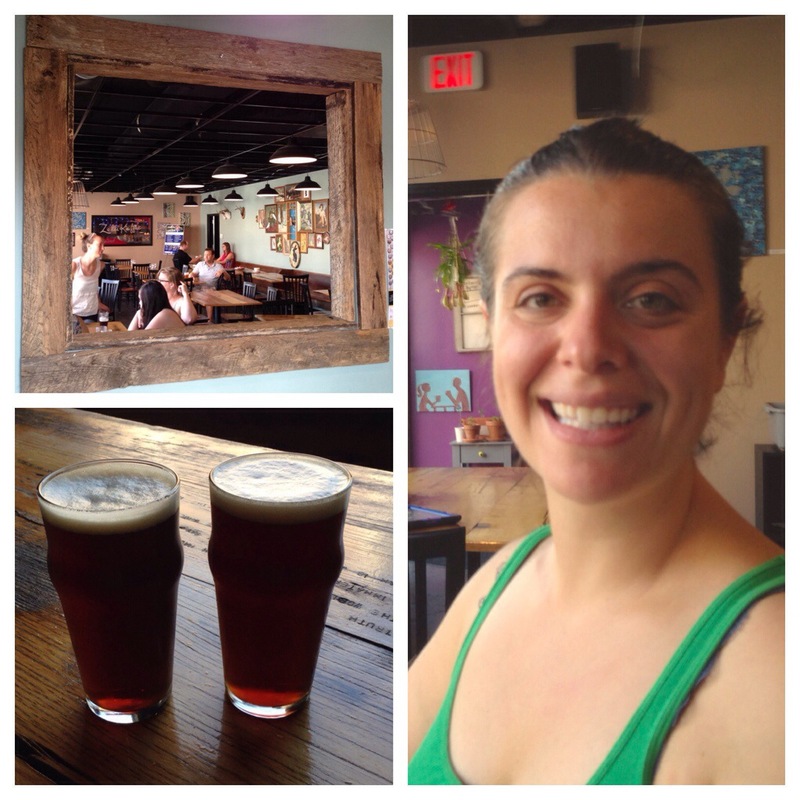 Robyn relocated to Nashville from Boston to join Bailey in starting the brewery; they were joined by Steve Wright in 2010 and run the business as a trio. 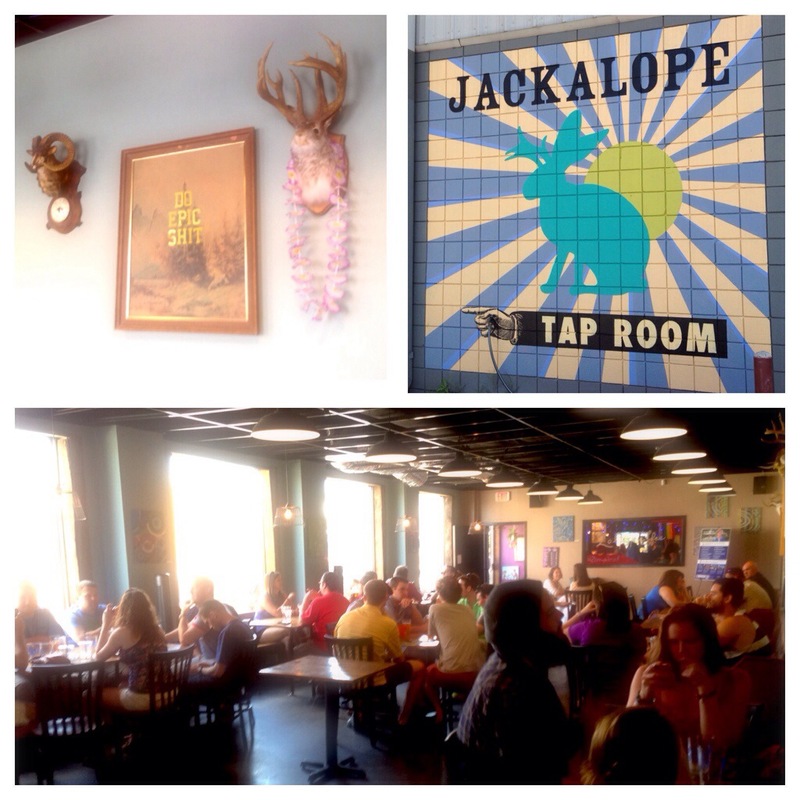 Jackalope now employs several others as assistants in the brewery and in running the taproom, as they struggle to increase their production to meet demand. 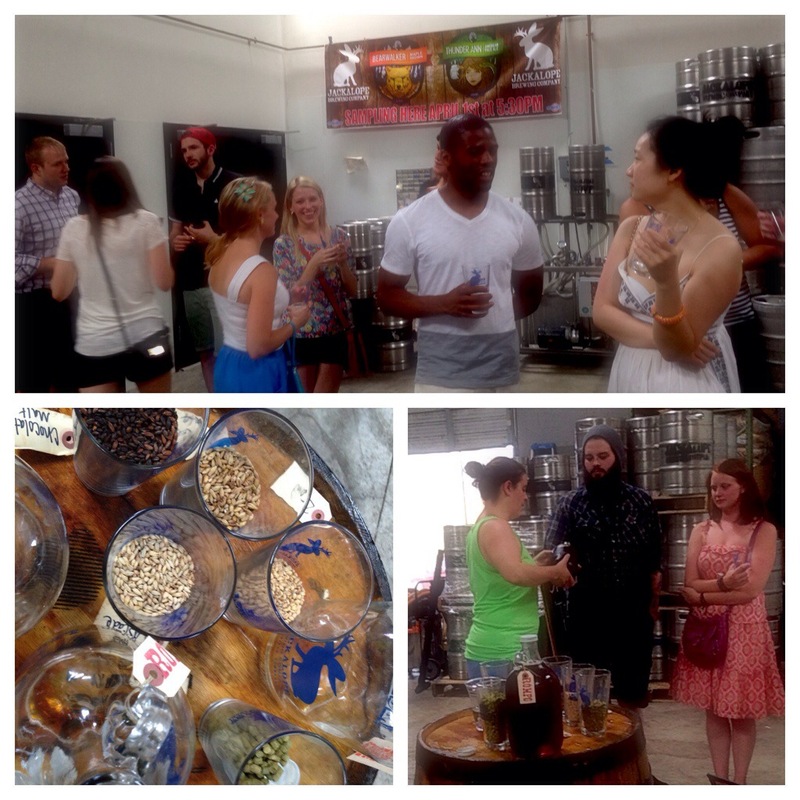 I visited Jackalope for one of their Saturday tours earlier this month, which was led by Bailey, and was fortunate to meet up with her later the next week in their taproom. The taproom is bustling as I enter and make my way to the bar, where I’m given a pint glass and directed to a small room off the taproom where the tour is waiting to begin. The small crowd is a mix of tourists and locals, making small talk and examining the beer history timeline on the wall and the array of knick-knacks featured about the room, a chandelier made from antlers hovering above the table. Soon the door to the brewery opens and Bailey invites the tour to enter. Her long dark hair is gathered in a loose knot on top of her head and she is dressed in a Jackalope tank top and big red rubber boots – clearly she has been at work in the single large room that comprises the brewery and takes up most of the building. It is hot inside the brewery and fans are blowing. Bailey introduces herself and begins the tour by pouring samples of Thunder Ann American Pale Ale as she tells us about the beer’s namesake who was Davy Crockett’s wife. Thunder Ann first met Davy when his head was stuck in a tree, and rescued him by making a lasso of rattlesnakes, she tells us. The tour sips the ale and looks around the room. It is not a big enough brewery to do much walking through, although at one point she leads us through the walk-in cooler and between the double row of fermenters. We spend about 45 minutes tasting each of Jackalope’s four year-round ales and listening to Bailey tell us how their beer is made, as Bailey answers questions about ingredients and the various vessels and equipment seen throughout the room, and tells us anecdotes about each beer and her experiences starting the brewery. Bailey began home brewing during law school, starting with a kit she bought at All Seasons right up the street from Jackalope’s current location. 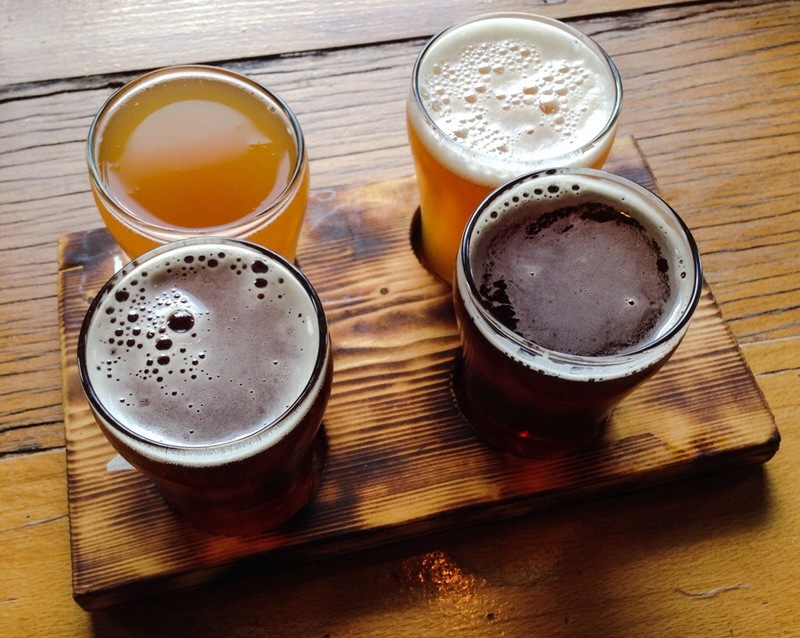 When I asked her how she made the transition from home brewer to professional she described a variety of experiences she sought out and found instructive. Jackalope employs a 15 barrel brewhouse and uses about 1000 lbs. of grain in each brew. They have four 15 barrel fermenters and recently added three 60 barrel fermenters in attempt to keep up with demand. After fermentation the beer is routed to one of three 15 barrel conditioning tanks, and it is kegged manually. Thunder Ann is also canned by Toucan Mobile Canning, who visit the brewery every 2-3 weeks. Bailey described Jackalope’s opening as a kind of trial by fire. The brewhouse equipment did not arrive until the day before the taproom opened, it was wired incorrectly, and all of the instructions were written in Chinese. “It was a mess when it got here. ” she says. “We were young and naïve.” For the first months while they rewired and set up the brewhouse, they operated on a one barrel system Bailey described as a “glorified home brew system”, producing about 10 gallons of beer that would tap out shortly after 7 o’clock every Friday night. (phirx ratings) are on a scale of 1-10. All of Jackalope’s beers are unpasteurized and unfiltered, and brewed with Nashville city water that has been both particle- and carbon-filtered. Thunder Ann American Pale Ale is a solid APA with a crisp fresh flavor, and a citrusy nose from Chinook, Cascade, and Citra hops. The only ale from Jackalope available in cans (everything else is keg only), Thunder Ann is a straight-forward, refreshing pale ale. With a legendary namesake like other Jackalope ales, Rompo Red Rye is styled after an Irish Red. The beast it is named for is found in Indian and African folklore, a mythological creature with the head of a rabbit, ears of a human, front arms of a badger and rear legs of a bear – that feeds on human corpses. This ale is malty and sweet with the strong presence of caramel malt and a hint of spice in the finish from flaked rye in the mash. It was refreshing to hear a craft brewer speak of the traditional East Kent Goldings and Fuggles hops used in this ale with such affection. Bearwalker Maple Brown Ale is a delicious twist on the traditional brown ale, in counterpoint to the recent trend in disproportionately hopped brown ales offered currently by some craft brewers. A bearwalker is a creature that can shift between human and bear form: a werebear. Five gallons of pure Vermont maple syrup are added to each 15 barrel batch after fermentation, providing sweetness and and almost creamy texture to this satisfying ale, Jackalope’s finest and most popular recipe. Named for the cartoon rooster and drawing inspiration as a beer meant to accompany Nashville hot chicken, Leghorn Rye IPA is brewed with three varieties of rye malt and Columbus, Liberty, and Citra hops to produce a beer with a floral nose, strong bitterness and a spicy finish. 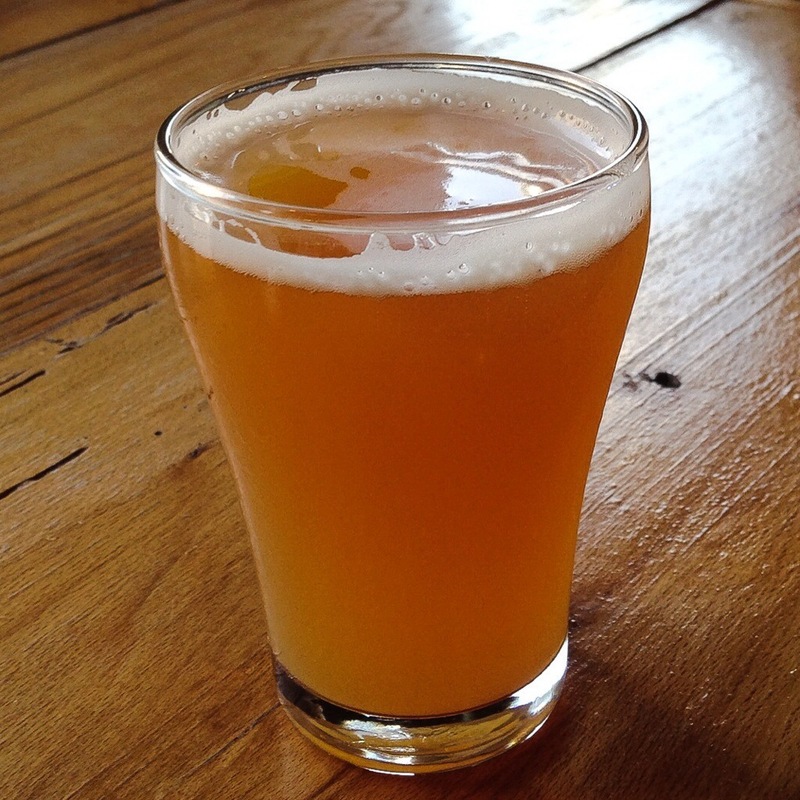 Jackalope also had two seasonals on tap: Caspar the Friendly Gose is a 17th century German wheat beer style that does not comply with the famous Reinheitsgebot: it include additions of coriander and sea salt. Brewed with nearly equal portions of wheat malt and pilsner malt, this refreshing summer beer is similar to hefeweizen or Berliner Weisse, and would traditionally include the addition of Brettanomyces, which Jackalope omits, adding a small amount of sour malt instead. This style is rare and represents another unique offering from this brewery. Jackalope is consistently involved in reaching out to the surrounding community, and are donating 20% of the proceeds of Caspar to Camp Progress, a local day camp for children with disabilities. Hoppy Anniversary is a seasonal beer brewed to commemorate the ten-year anniversary of local rock climbing gym Climb Nashville. Brewed with ten (!) hop varieties – Warrior, Chinook, Simcoe, Pearl, Fuggles, East Kent Goldings, Cascade, Amarillo, Citra, and Liberty – this IPA is medium bodied and hazy, with an indistinct potpourri of hop flavor and a very bitter finish. Jackalope plans to stay at their present property for the next few years, but will be outgrowing their space soon. “Now I want to think about my dream brewery, and how to build it.” she says. Yes I’ve been back for it!